Aimlessly blogging about landlord life since 1688. No nonsense! You are here: Landlord Blog » Landlord Articles » Selling Your House Tips & Advice » Is It Worth Splurging On A Rightmove Premium Or Featured Listing? Above all, it is crucial to get your property advert just right; that means it needs to have all the features of a successful campaign, including high-quality photos, an appealing headline and an informative description! For many people, the longer a property remains rotting on the market, the more expensive and difficult life gets, and one of the best ways to avoid that pitfall is by throwing together a solid advert so it creates the most amount of interest. Whether you’re trying to sell or let your property, one thing is for sure, you’ll want to throw it onto the UK’s biggest property portal, a la Rightmove, to maximise exposure. You’d be an utter dip-stick not to. If you’re looking into Premium and Featured Rightmove listings you’re most likely on the verge of either selling or letting, and you’re either using a high-street agent or an online agent, and now you’re contemplating whether to splash out on an illusive upgrade, because you’ve either seen them on the dessert menu as an optional add-on, or your beloved agent is pestering you to make the leap. Either way, the concept has peaked your interest, and you like the idea of paying a little extra to potentially speed-up the process of achieving your goal, right? What is a ‘Rightmove Premium’ listing? 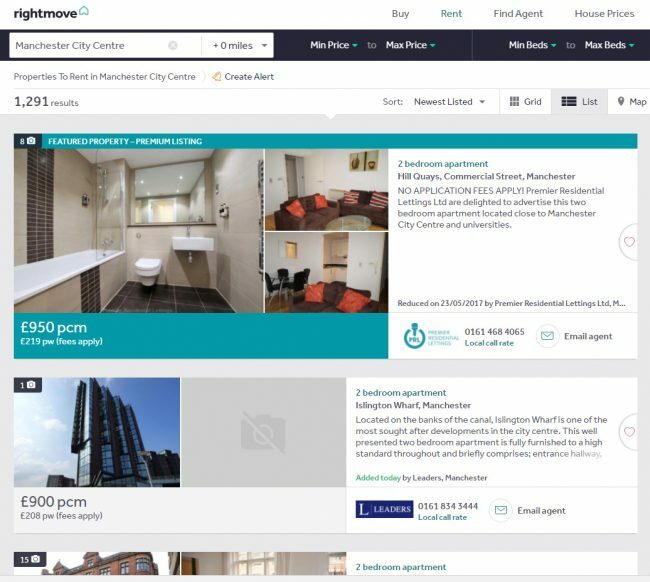 What is a ‘Rightmove Featured’ listing? How much does it cost to upgrade to Premium or Featured listing? Is it worth upgrading your listing? So what about you? What ya’ gonna do? A Premium listing is a listing which is highlighted, and more prominent than regular Rightmove listings. 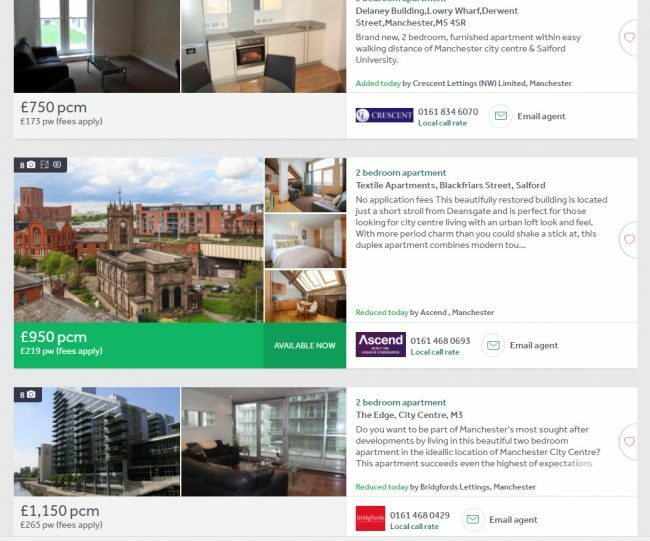 In practice, when a prospective customer sees a list of properties in their search results page, the premium listing will be highlighted in a different colour (green) from the regular listings, and also 3 photos of the property are displayed rather than the usual one. You’ve probably seen them, right? In theory, these eye-catching enhancements should lead to more click-throughs, and in turn more enquiries, and in turn an improved chance of getting a quicker sale. But of course, that’s Rightmove saying that, so make of that what you will. Although, I’m not disputing the fact that Premium listings generate more interest! Please, don’t get ‘Premium’ listings confused with ‘Featured’ listings, because you’ll probably be sorely disappointing. Firstly, understand that they are different types of enhancements! A premium listing is a caffeine fuelled listing, while a Featured listing is a different animal. Think of Featured listings as a listing on steroids, if ya’ will! It’s guaranteed to appear at the top of a search results page, while a premium listing is wedged somewhere between regular listings (as shown in the example above). It has a larger photo to grab further attention. It will appear in the regular search results too – so twice the visibility! Ensure you understand which upgrade you’re being offered. Needless to say, a Featured listing will more donuts than a Premium. So, say it with me, “A Premium listing is NOT a Featured listing”! Say it! It varies agent-by-agent, because since you can’t buy them directly from Rightmove, it’s down to each agent’s own discretion (Oh shhhiiiit, right?). Some agents will include an upgrade listing (typically the Premium) with the package you’re buying, so you won’t have to pay extra (of course, the cost is accounted for in the price you’re paying). Most agents will charge extra for an upgrade listing and they’ll encourage you to do-so because they typically put a significant mark-up for the pleasure. According to a chap on the Property118 forum, Rightmove charge Agents £10 per Premium listings, while agents charge their landlords and vendors £100 for the listing enhancement. I can’t verify if Rightmove charges agents £10 for the slot, but I can confirm that agents do charge around £100 extra for a premium listing. Or at least, I’ve seen many that do. When you purchase a Premium listing for your advert, it generally means the listing will remain Premium for the duration of your advert life span (but get that verified by your agent). From my experience, Featured listings work a little different, in the sense that you pay approx £120 amount for 7 days, and then you need to keep renewing the upgrade if you want it to remain Featured. At least, I’ve seen most online agents abide by that model. Also, bear in mind, according to Rightmove’s own stats, a Featured image receives 5% more clicks than a Premium listing. You may want to consider if paying for a Featured upgrade is worth the extra 5%! Many agents (especially those that spend a lot with Rightmove) are given ‘complimentary’ upgrade listings, but those that aren’t so fortunate, do generally pay for one or more of them anyways, and then apply it to their clients’ properties on rotation (i.e. a Premium/Featured listing can be appointed to any property at any time, they’re not fixed to a property). I like to believe that most good high-street agents will automatically upgrade your listing if it’s particularly struggling with interest. But again, it’s worth enquiring to find out what the deal is! On a sidenote, it might also be worth asking if your agent is prepared to give you a free Premium/Featured listing as an incentive to secure your custom. Why not, aye? Many agents, particularly online agents, often do promos where they’re giving away free Premium listings. Look out for those. Here are is a list of online letting agents and list of online estate agents with their current offers. The million dollar question! Is it all bloody worth it? If you Google around for the answer and you land on an estate agent’s website (which you most likely will), they’ll directly tell you it’s a MUST-DO. And if they’re not so direct, they’ll feed you a bunch of spiel on how much more effective upgraded listings perform comparatively. While an upgraded listing does undoubtedly create more attention, I don’t think it always makes sense to splurge on the upgrade, despite what the ‘professionals’ say. Remember, agents whack a massive mark-up on top, so it’s in their best interest to sell it to you. So when does it make sense? Search on Rightmove for similar properties in the same location to yours, and if it’s clear you’ll be competing against hundreds of properties, then there’s a good argument to splurge. However, if your research shows you’ll be competing against a dozen properties, I can’t see why paying for an upgrade would provide any meaningful advantages. This is crucial to note! Photos are the single most important aspect of any property advert, and there is no substitute for professional property photography! If you have lousy photos (i.e. dark, dingy and wonky), then you’re destined to fail from the get-go! Most high-street agents include a home-visit to take professional photos as part of their core service. But most online agents only offer it as an optional add-on service. Personally, I would recommend loosening the purse strings for quality photos if you don’t have a set. Either way, if you don’t have high-quality images, then it makes very little sense to pay for a Premium or Featured listing. “Money down the shitter”, if you ask me. Just as crucially, it’s worth noting that Premium & Featured listings should not be used as a means to mask the reality of a bad situation! For example, if your property has fundamental problems, like it’s in exceptionally poor condition and well overpriced, then I’d avoid paying for a premium listing if you plan on using it as a tool to fix/mask your problems. I didn’t plan on writing this section, but a random thought just hit me square-on! I think there’s a valid point here. Somewhere. If you’re using an online agent, than you’re probably paying pennies to find-tenants or sell your home, comparative to a high-street agent. So in the grand scheme of things, paying an extra £100 or so for an upgrade may just make it a worthwhile gamble. At the time of writing this blog post, you can currently advertise your rental on Rightmove for FREE, and sell your house privately on Rightmove for £99. Unsurprisingly, and for reasons explain, agents are notorious for forcing the up-sale of Featured & Premium listings. Don’t feel pressured. Do your own research and decide whether it makes sense. Also, realise that if you initially decide to launch your listing without an upgrade, you usually have the option to make the upgrade further down the line if you wish to (i.e. if you’re not getting much interest). Needless to say, you’ll probably have to pay for the upgrade. Personally, I’ve never willingly stumped up the cash for either upgrades, but I have taken advantage of one of those promos with an online agent, where I benefited from a free Premium listing. Did it work? It’s hard to say. I mean, I let my property out in a week, which is satisfying by anyone’s standards. However, my property is in a sought after area (i.e. demand outstrips supply 10-fold), and I’ve NEVER had problems in the past letting that particular property. On that basis, I’ll probably never pay for an upgrade listing for that property. But, if the property was in a much more saturated market, I’d most likely… splurge. Hopefully this has been somewhat insightful, albeit obscenely longwinded for such a simple question. Yup, I tend to drag the crap out of simple issues. It’s a curse. So if you’ve been sitting on the fence, have you made a decision? Are you going to splurge or not? If you’ve paid for a Premium or Featured listing, whether it be to sell or let your proerty, how did it work out for you? Do you feel you got your moneys worth?